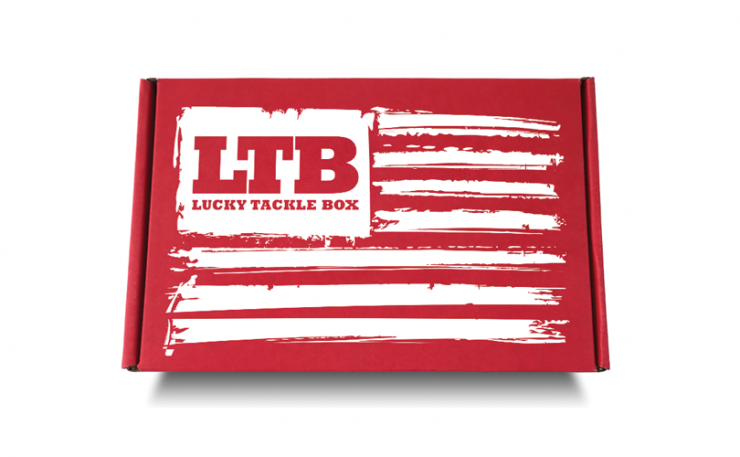 Lucky Tackle Box (also known as LTB) is a monthly fishing tackle subscription box. The company is very popular, especially for it’s Bass XL and Tournament boxes. 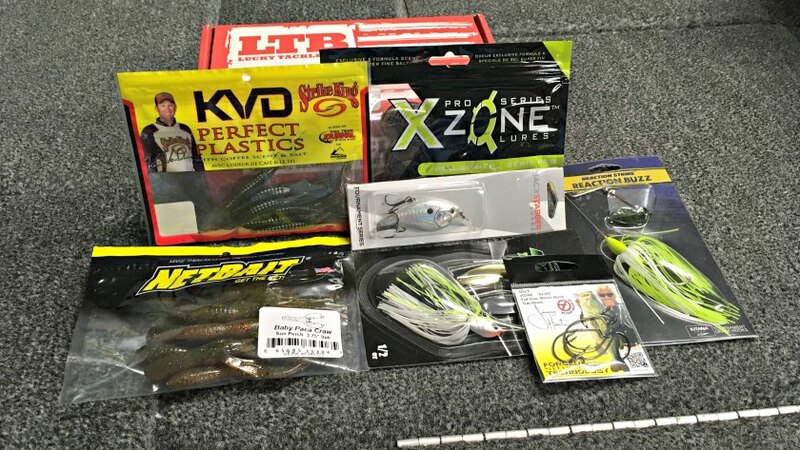 LTB has a strong fanbase, which you can see on sites like YouTube, with guys posting “unboxing” videos, and then hitting the lake to attempt an “LTB Slam” and catch a fish on every lure in that month’s box. 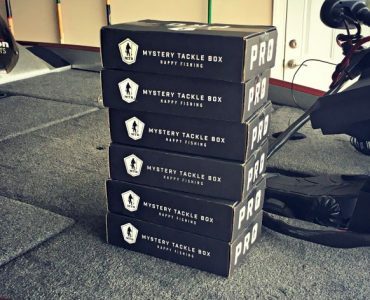 LTB came along in 2013, about a year after Mystery Tackle Box hit the scene, and MTB remains the big dog in the fishing subscription box industry. Each company has their fans, which is why we wanted to do an unbiased Lucky Tackle Box review. We want you to see for yourself what kind of value you get from these services. We subscribed to the Bass XL box, since our focus is bass fishing for most of the year. In this review we’ll document each box so you can see what you can expect over the course of a year. For comparison sake, we also signed up for the equivalent MTB Pro box, which you can read our review here. How Does LTB Work? Is it Legit? Signing up for LTB is easy. You choose your preferred species, how often you want to be billed (1, 3, 6, or 12 months at a time), and then checkout. LTB is focused mostly on bass fishing, but they have six other boxes for Saltwater, Ice, and other freshwater species. Bass ($14.99/mo) – 5 baits per box, with an estimated $25 retail value. Geared towards weekend anglers who like to try new baits. Bass XL ($24.99/mo) – This is LTB’s most popular box. You’ll get 7 baits per box, with an approximate $40 retail value, geared towards more experienced anglers. 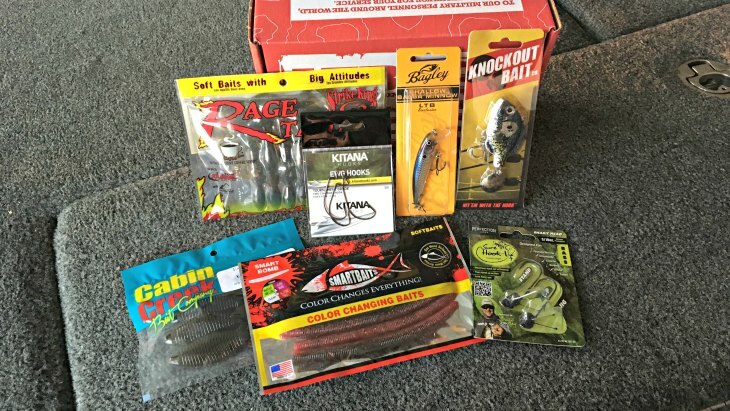 Tournament Series ($50/mo) – This is the elite box, with 15 baits ($85 value) per month as chosen by professional BASS and FLW pros. These baits are supposed to be tournament proven already, so you won’t get any really weird stuff, just the juice. Multi-Species, Walleye ($25) – If bass is not your thing, fear not, as there are good Multi-species and walleye boxes to be had. These also have 7 baits per box at a $40 value. 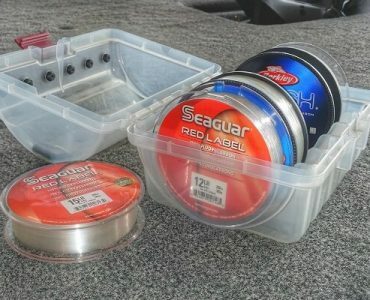 Saltwater, Fly Fishing ($25) – Inshore salt guys and fly fisherman can get their tackle fix with these boxes. The Fly box is curated by Umpqua, so you know you’ll get some goods. Panfish/Ice Fishing ($15) – Last but not least is the Panfish and Ice Fishing options. LTB makes it easy to switch your boxes at any time, so when first ice forms you can get ice fishing lures, and when ice goes out you can switch to panfish and slay the crappies and bluegill. Dobyns D-Blade Spinnerbait ($5.99) – Here is 1/2oz spinnerbait designed by the California fishing legend Gary Dobyns. It’s a compact spinnerbait, I like the dual willow blades in silver and gold. It features a hand tied skirt and Mustad hook. Solid looking bait! X Zone Lures Muscle Back Finesse Craw ($3.99) – This is a 3” finesse craw bait in green pumpkin. It looks great and I would use this on a finesse jig, Carolina Rig, or a shaky head jig. Strike King Drop Shot Half Shell ($3.99) – A 6 pack of worms, specifically designed for drop shot fishing. This is a 3-1/2” shad/worm style drop shot bait that utilizes Strike King’s “Open Pour Technology”, although there is no laminate color in this pack, just green pumpkin. NetBait Baby Paca Craw ($4.29) – This is a 3.75” craw bait that is quite popular for jig trailers and pitching/flipping on texas rigs. Sun Perch is a great natural greenish orange craw color. 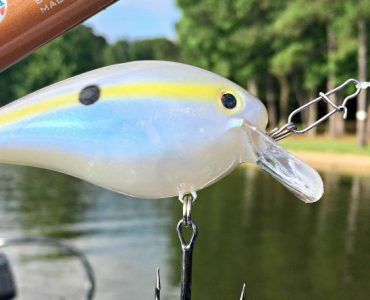 Backstabber Squarebill ($8.99) – This squarebill has an interesting idea by moving the front treble hook onto the back of the lure. It looks kind of gimmicky, especially for a retail price of nine bucks. Reaction Strike Buzzbait ($2.99) – A very basic looking Chartreuse and White 3/8oz buzzbait. I don’t expect this will last more than a few fish. Daichi Fat Gap Worm Hook ($3.50) – 3 pack of light wire, wide gap tube and soft plastic hooks. Thoughts on Box #1: This was a decent first box. At $33 retail value, I got my $25 worth. I would for sure use the Dobyns spinnerbait, as well as all the soft plastics. I don’t have much hope in the buzzbait, but I am willing to give the Backstabber a try when I go fun fishing, but not when a tournament is on the line. Kitana EWG Hooks ($3.99) – A light wire extra wide gap hook that pairs well with the stick baits and lizards in this box. Bagley Balsa Minnow ($5.99) – Since the invention of the Rapala floating minnow, floating balsa lures have proven effective fish catchers. This one would be good to pull over cover and weed edges during the pre-spawn period. Knockout Bait ($4.99) – A heavy bluegill imitation rip bait. It features a solid body, reminiscent of a lipless crankbait, a single treble hook, and small Colorado blade on back end. I’m not sure what to make of this one, I could imagine the reaction bit working with it, but the hookup ratio can’t be very good. Cabin Creek Express Bug ($2.99) – A small pack of beaver style creature baits. These types of baits are great for flipping and pitching, and will always have a place in my tackle box no matter the brand. Smartbaits Smart Bomb ($7.99) – Senko style stick baits with color change technology, that changes color with the water temperature. This pack says it changes from Junebug to Blood Red. Perfection Lures Stand up Jigs ($5.49) – Two pack of 3/16 oz shakey head jigs. This jig features an interesting wire system to make the jig and bait stand up under water. 3/16 oz is the perfect size to throw on spinning gear. 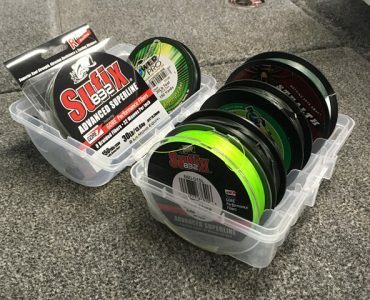 Thoughts on Box #2: I liked this box for the quality soft plastics, along with the shakey head jigs and the EWG hooks that I can fish them with. The two hard baits were not as exciting to me, but I could see using them at some point, especially the shallow balsa minnow. Livingston Primetyme CB 2.0 ($13.99) – I’m sure it’s a nice squarebill, but I’d never buy a $14 crankbait on my own. It will be interesting to see if the insane hype around Livinsgton Lures has any weight behind it. 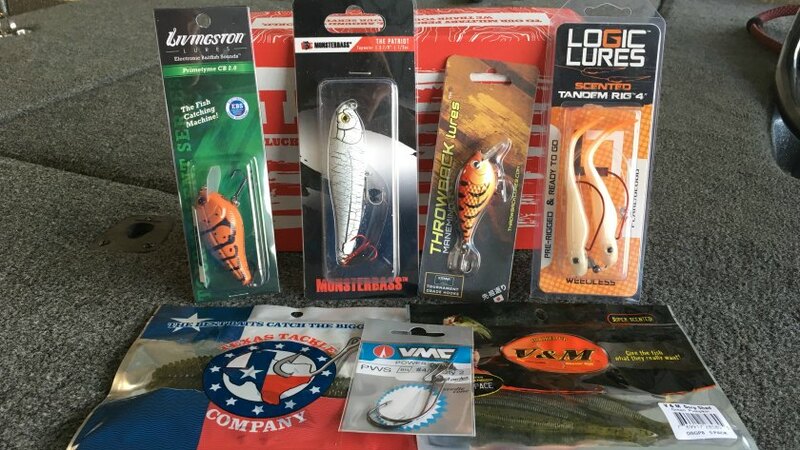 Monsterbass The Patriot ($11.99) – Another overpriced hardbait, but the white color should work well on my home lake. The hooks look like they won’t hold up to more than a few fish. Throwback Lures Mane Minnow ($5.99) – A small squarebill crankbait in nearly the same color as the Livingston, coincidence? The hooks are slightly undersized and need to be replaced if Ifish this bait. Logic Lures Tandem Fluke Rig ($5.99) – Tandem fluke rigs can be crazy fun to fish when schooling bass are around, but probably will have to hold onto this one until fall. V&M Drop Shad ($4.99) – A solid looking pack of drop shot worms..
VMC Power Shot Hooks ($4.39) – A pack of offset worm hooks with the swivel shot system built into the eye. Now you can “Bubba shot” with a heavier weight and the beaver style plastics in this box. Texas Tackle Big Bug ($4.99) – Small beaver style baits that pair well with the Power Shot hooks. I’d also use this on a Carolina Rig or shakey head. Thoughts on Box #3: Don’t let the $50 retail value of the box fool you, this is an ordinary box this month. The two squarebills are nice, and the topwater pencil bait looks pretty good, but their retail prices are inflated. Outside of the hardbaits, I found some soft plasctics and some cool hooks to try them on. It’s a pure scam. Order 4 boxes. Got three boxes the exact same way. When I contacted customer services they said it was because I was a new customer. And after they admitted that I was not a new customer never heard back from them. Stick with mystery tackle box atleast they mean what they say, new baits every month. Zero if any customer service. They don’t even have a phone number. Sorry to hear that Josh. That wasn’t my experience with LTB, maybe you got a few duds. I would agree with you that MTB is the better option for most people.